The proportion of women working into their 70s in the UK has doubled in the last four years and is starting to catch up with men. Analysis of official data reveals that 5.6% of women only stopped working after the age of 70 in 2012. This had risen to 11.3% in 2016. Worries over pension income and a motivation to stay active have pushed up working ages. An estimated 15.5% of men stopped work in their 70s in 2016. Changing laws and workplace regulations, such as the end to age discrimination and the right to request flexible hours, have also helped people to work for longer as longevity increases. An estimated 150,000 women in the UK are working into their early 70s. 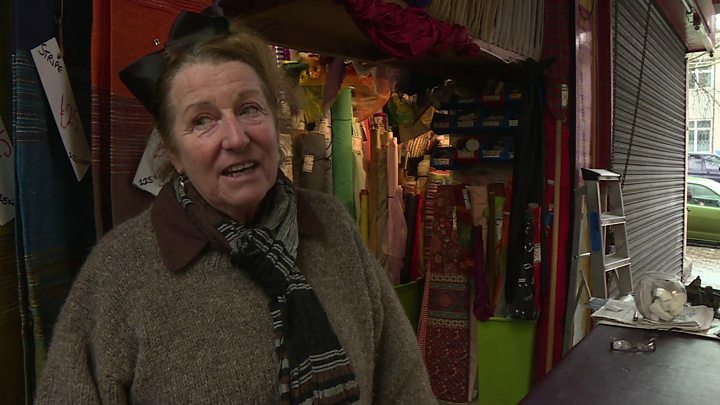 Among them is Ann Green, who runs a fabric stall called Avon Textiles in Bristol's St Nicholas Market. She points to a lack of savings through pensions as the main reason for working on. "We always invested our money into the business and into property to help us feel secure - so no other security at all," the 70-year-old said. "It would certainly be a struggle, and life would have to change, if we stopped work." Women tend to have much smaller sums invested in private pensions, so have less to supplement their income in later life. Despite changes to the state pension for new retirees, many women have not qualified for the full payout owing to gaps in their national insurance contributions during career breaks to bring up children or other reasons. Elaine Weston, a 74-year-old former social worker, is one of those who does not receive the full state pension. 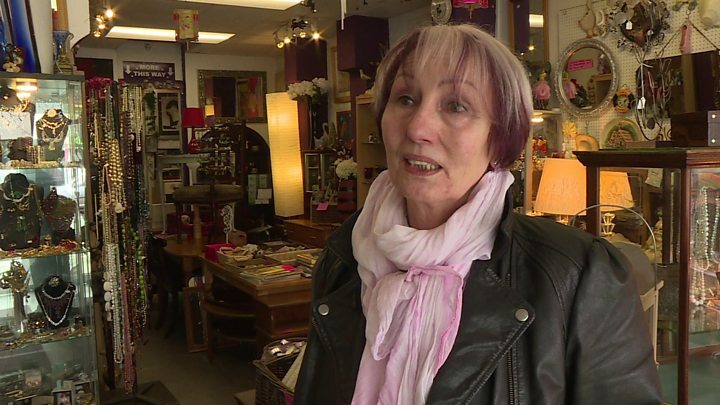 Although her jewellery and furniture shop, Bliss, is a labour of love, she too says she needs the extra money. "Women are getting younger! It is good to keep your brain and yourself active," she said. "I just need a bit extra [money] to keep going. If I did not do this, I would just try to get a job. They talk about rich pensioners, but a lot of pensioners are not rich." She said that her house was her financial security, but she would have to sell up and move to a cheaper area if she stopped working. Which jobs could a 100-year-old do? Nathan Long, senior pension analyst at Hargreaves Lansdown - the investment company that analysed the official figures - said: "This jump in those leaving work over 70 may simply be through individual choice. Workers should be encouraged to work as late in life as they are able and feel is desirable. "However it is also a reflection of the increasing strain on the pension system. The best days of well-funded early retirement are behind us. "The risk to employers is of a workforce trapped in jobs they don't want to do, which will inevitably impact on productivity. The government has already set out their vision for fulfilling working lives, but its success requires employers to embrace flexible working, re-education of employees and the transfer of a lifetime of knowledge." Earlier in the year, the government launched a strategy aimed at encouraging the over-50s to consider a second career to extend their working lives. "Staying in work for a few more years can make a significant difference, not only to someone's income but also their physical and mental health," said Work and Pensions Secretary Damian Green. "I urge all businesses to reassess the value of older workers. Nobody should write off hiring someone due to their age and it is unacceptable that some older people are overlooked for roles they would suit completely."